Summer is here! I suppose it officially begins in June, but it feels like summer and school is out! 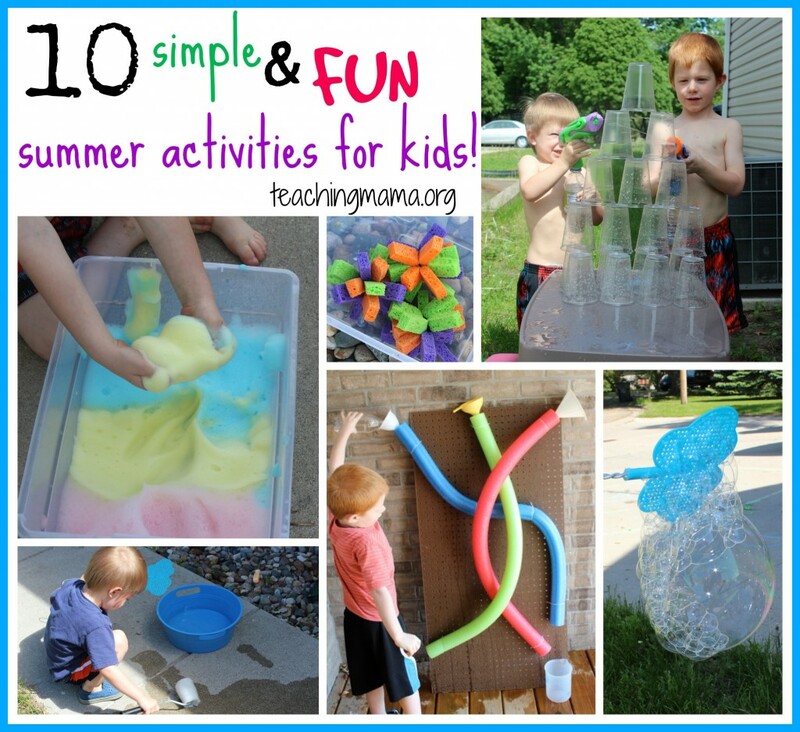 Today, I am sharing 10 simple and fun summer activities for kids!! 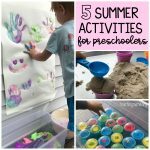 These ideas are simple, yet are fun and designed to keep kids busy this summer! 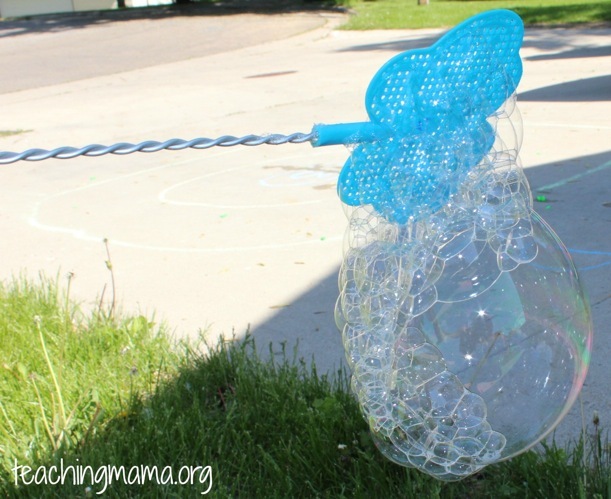 Make these really easy sponge water bombs to keep kids cool this summer! They are so simple to make. 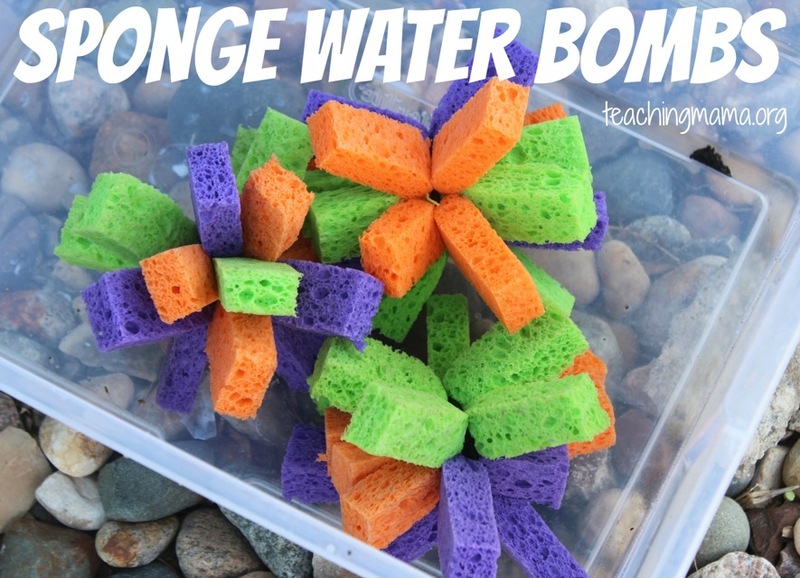 You need 3 sponges for each water bomb you make. First, cut the sponges into thirds. Then stack the nine pieces. Lastly, tie a rubber band or hair tie around the center of the stack. Fluff out the sponge pieces and you are done! The original idea is from this blog. 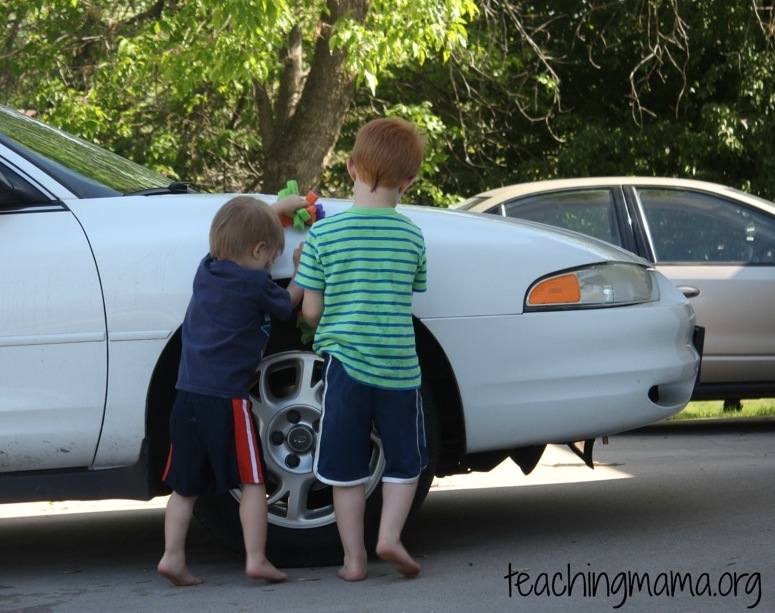 And you never know…your kids may just feel compelled to wash the car! 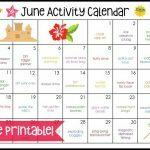 This activity is so much fun and perfect for keeping kids cool in the summer! 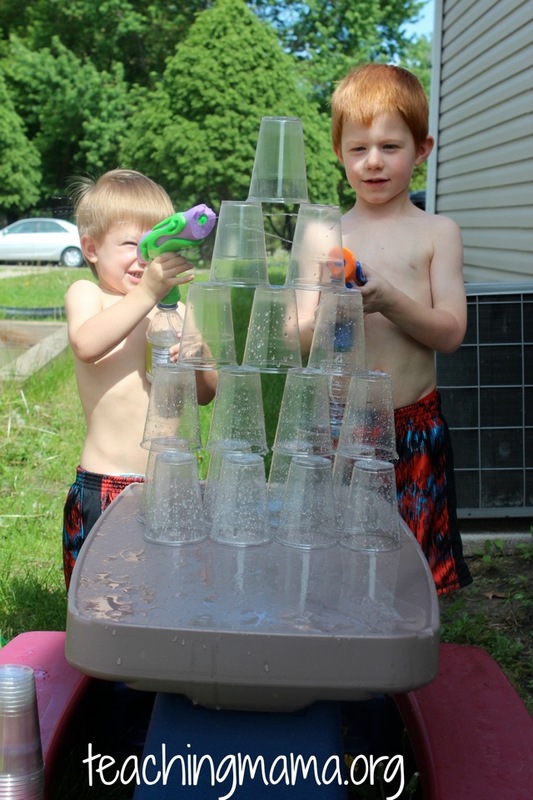 Just stack plastic cups and have your child squirt water to knock them down. It keeps my boys busy for a long time! 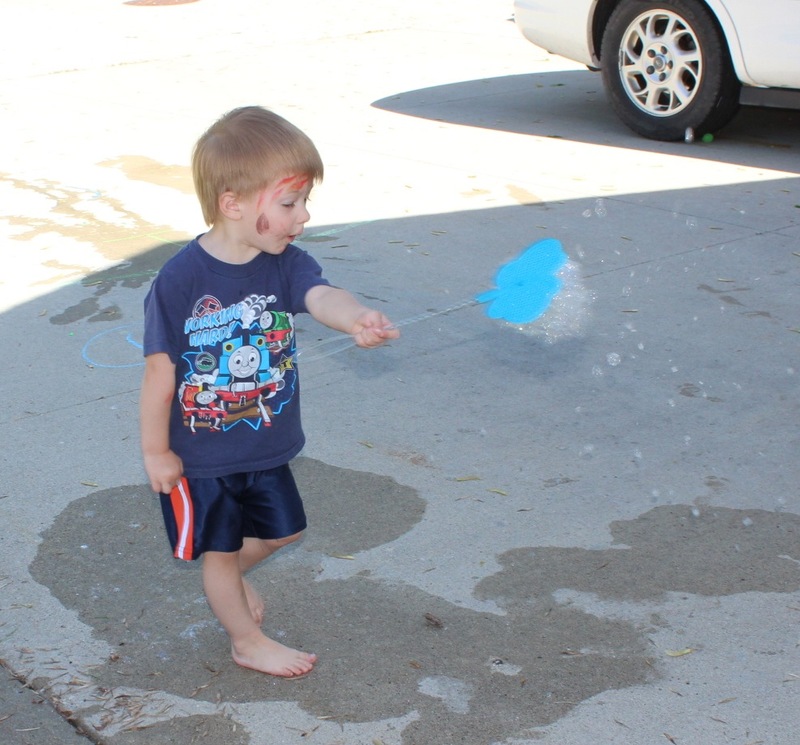 Did you know you can use a fly swatter to blow bubbles? Just dip it in bubble solution and either blow on the other side of the fly swatter or rapidly move the fly swatter around. It makes really fun bubbles!! Oh how I adore this activity! 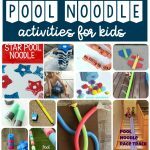 It is colorful, fun, and easy!! 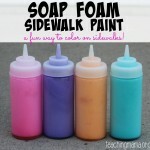 To make the soap foam, simply put 1/4 cup of water, 2 tablespoons of dish soap, and food coloring into a blender. Blend until foamy (just around 20 seconds). Then dump into a bin and let the kiddos play! I was inspired to make this foam after seeing it on this blog. So glad we tried it out! It will be a go-to activity this summer! 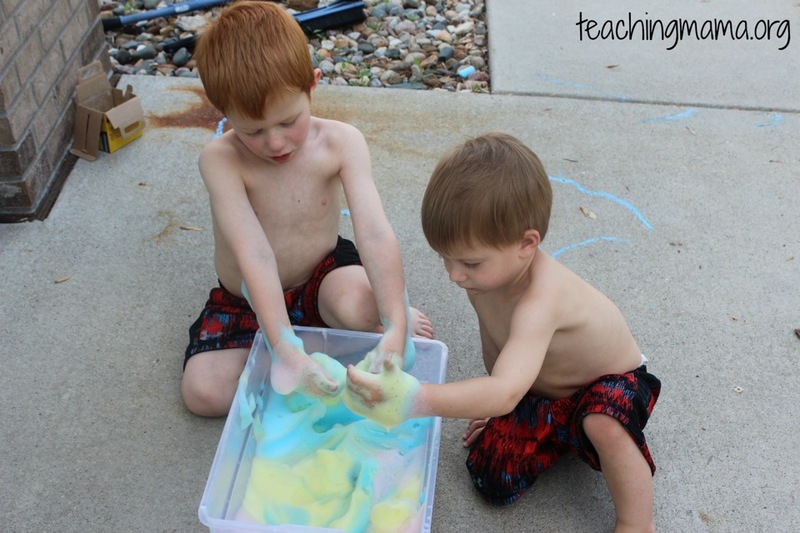 This is a sensory and art activity. 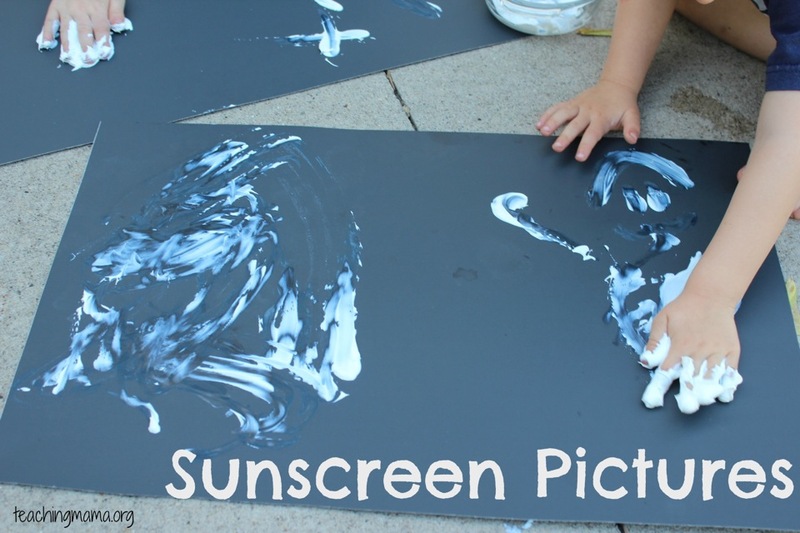 Just put sunscreen in a bowl and let your child make art on black paper. Then lay the pictures in the sun and watch how the picture changes! 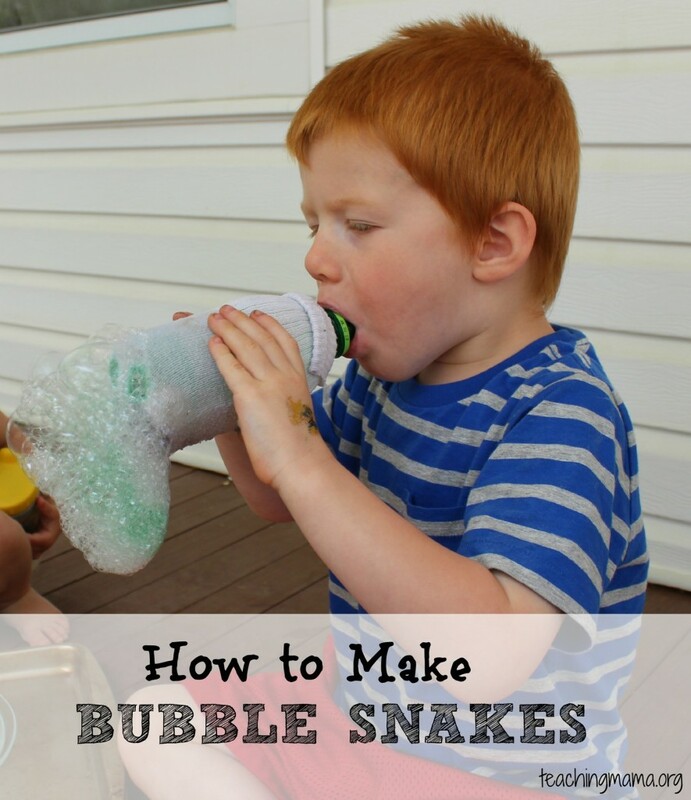 Another fun bubble activity is to make bubble snakes using water bottles! Follow the tutorial on this post to make one! 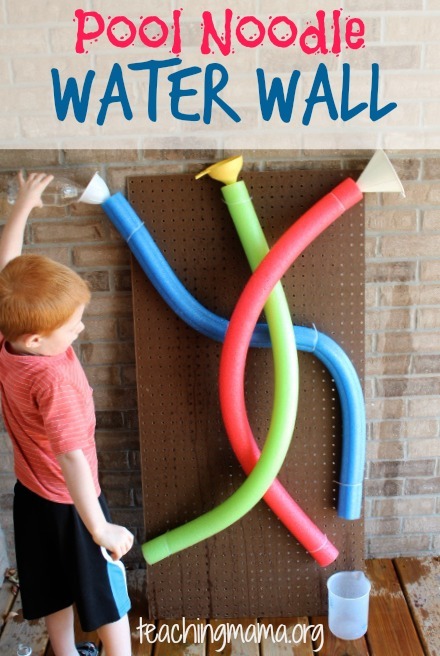 This activity is so simple, but it really does keep kids busy for a while! 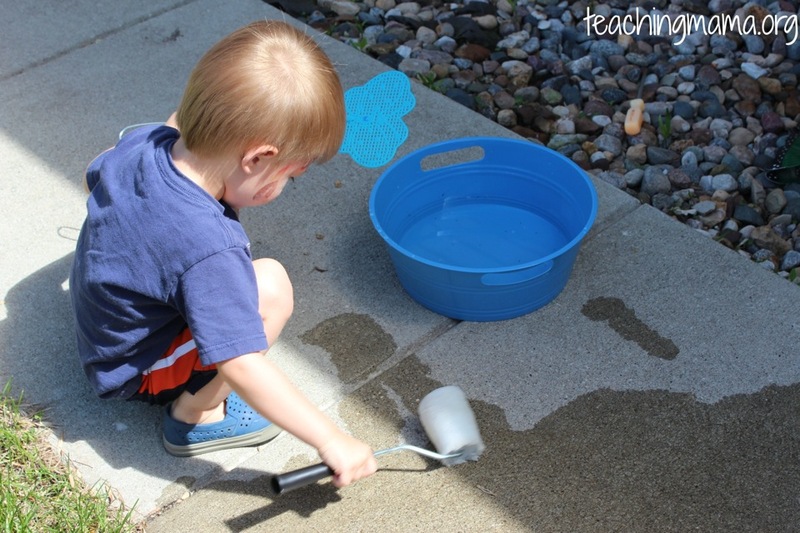 My kids loved painting the sidewalk and driveway with water. I only bought one roller at the dollar store, but really should have bought two since my kids both wanted to use it! 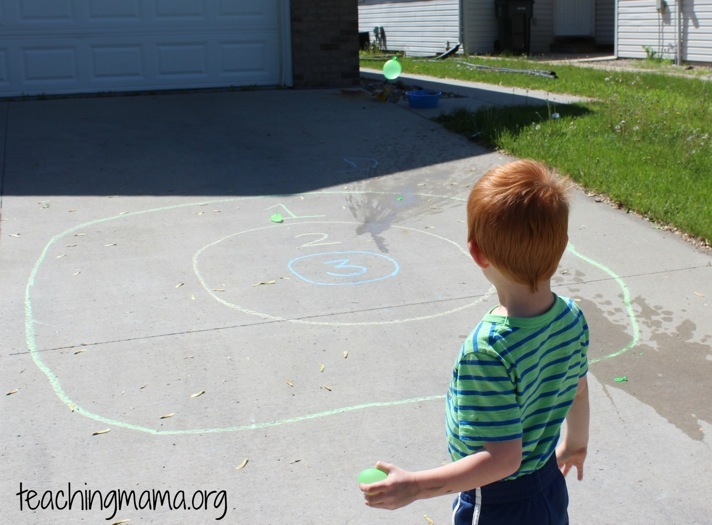 To set this activity up, just draw three circles on cement using chalk. Add numbers in the circle for points. Then have your child throw water balloons at the circles. If the water balloon breaks on that part of the circle, then they receive that many points. 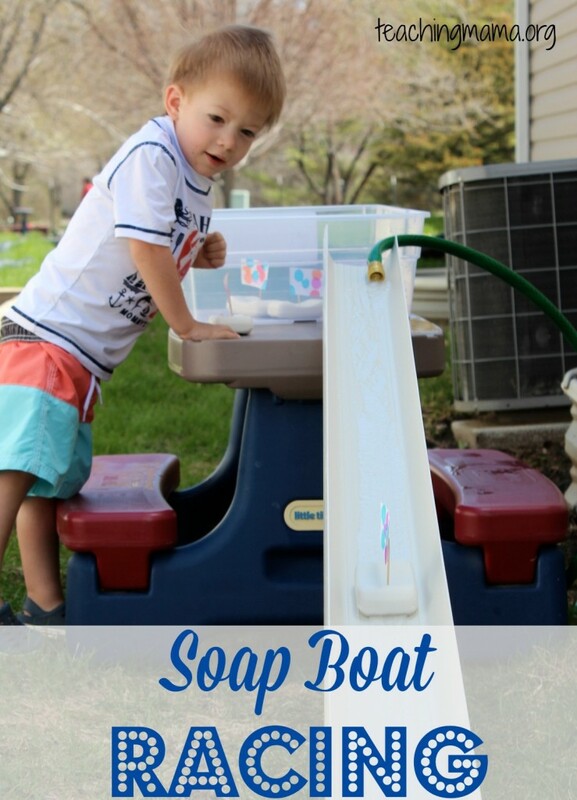 Make soap boats and race them down a gutter! See all the details on this post. Or you could switch it up and race ice boats down the gutter. 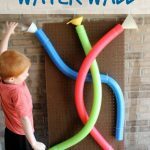 Create a water wall using pool noodles to keep kids busy and cool this summer! To see how to make this, visit this post. 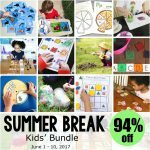 If you are looking for more fun ways to keep your kids busy this summer, check out my At Home Summer Camps! This digital packet has 84 super FUN activities for kids, ages 3-10. Find out more over HERE. 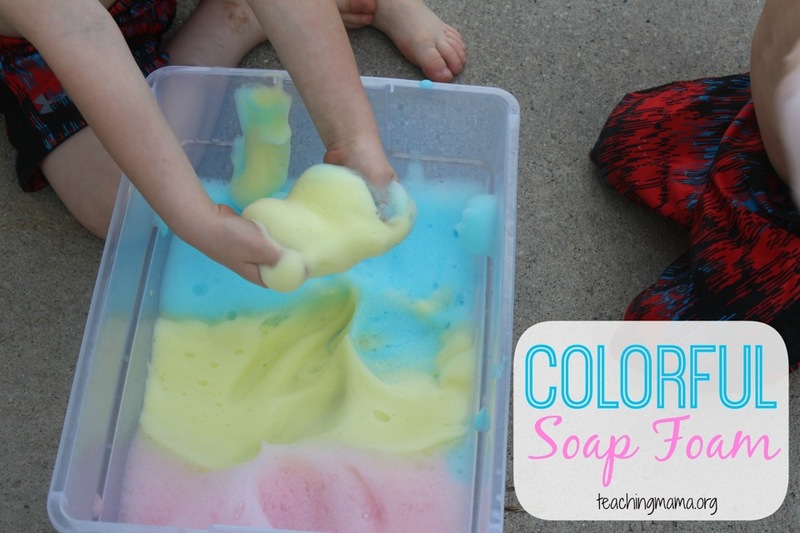 We definitely need to try the foam soap this summer! I have a daughter who is soap crazy! 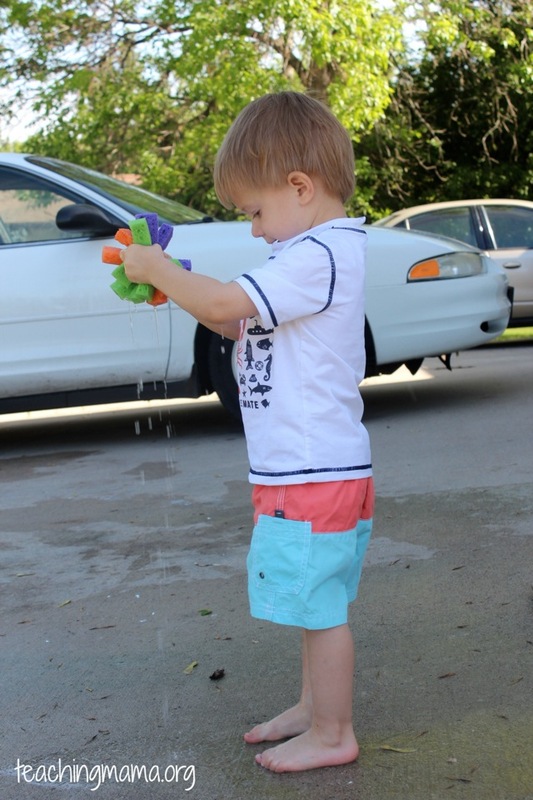 Theres Just One Mommy recently posted…Sight Word Bang! I love all of these ideas! I’m excited to get busy with my kids!